The negotiation on panels is between 10:00 and 10:15. The auction is done every Friday from 10:00. 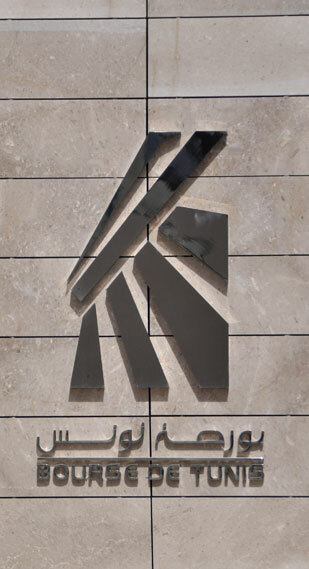 The current electronic trading system run by Tunis Stock Exchange was established on October 25th, 1996. The system was developed by AtosEuronext and upgraded by a new version in December 3rd, 2007 (V900). All listed securities are traded on the system. Orders entered by brokers at their terminals are forwarded to the central system and matched. The less liquid are traded in fixing mode three time a day, at 10 am,11:30 am and 13 pm. Pre-opening session; in this one-hour period, orders entered by brokers are fed into the order book without any transactions taking place. Auction; when the order accumulation phase ends, buy and sell orders are centrally matched through an auction procedure to establish an auction price The auction price of a share is its reference price and is used as a basis for the following auction. The second auction takes place. The third auction takes place. Trading at last price session; orders are traded at last quoted price. Pre-opening session; in this one-hour period, orders entered by brokers are fed into the order book without any transactions taking place. The system calculates a theoretical opening price for all listed securities, which is displayed on the screens. Opening session by fixing; the system fixes the opening price or call auction price at which the largest number of bids and asks can be matched. Continuous trading; orders arriving in the system are immediately executed if the central order book contains an order or several orders of the contrary kind at a compatible price. If there are no such orders, the incoming order is recorded, remaining on the order book at the specified limit. Pre-closing session; all the orders in the book are matched for the closing auction.